There are many console commands with different purposes in Battlefield 1. You can not only activate the commands via console, in some cases you might want to have certain commands enabled permanently, and that’s where a configuration file comes in very handy. In this guide you will learn how to create a config file for Battlefield 1, where you can store your favorite functions to have them activated all the time. By the way, the same was possible in previous games with the Frostbyte engine, but for the sake of completeness and clarity, I do write a guide about the Battlefield 1 config file as well, even if the approach is the same. First you have to open your Windows text editor called Notepad. Now we type all our favorite console commands line by line into the file. If you are done and there is a line for each of your commands, you have to save the file in the Battlefield 1 folder named as “user.cfg”. Choose “Save as” in the “File” menu of Notepad. 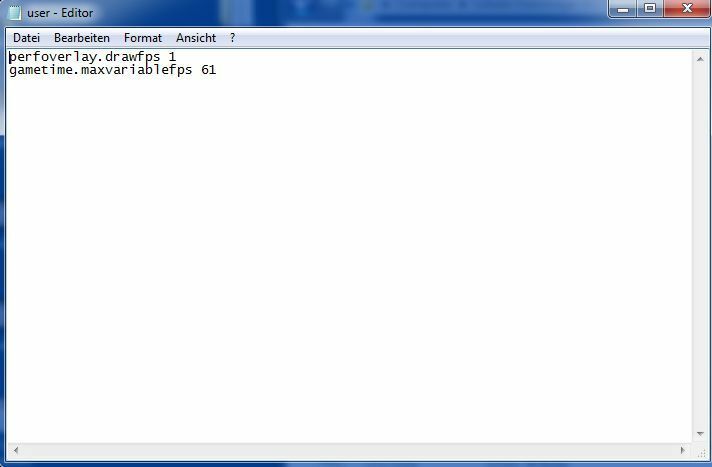 Find the Battlefield 1 folder, the standard folder should be located in “C:\Program Files (x86)\Origin Games\Battlefield 1” unless you installed Origin somewhere else. Call your text file “user.cfg” and for “Save as type” you should choose “All Files”. Now just click the “Save” button and your config file will be stored in the Battlefield 1 folder. I hope this short tutorial helped you to understand how to create a config file for Battlefield 1, and how to activate your favorite console commands permanently. You might also want to check out the list of all Battlefield 1 console commands. Otherwise, feel free to drop some words in the comment section and let me know what you think about Battlefield 1, why you use console commands, or if you know some other cool tricks. Happy gaming! I am glad the article was helpful for you. cant seem to get it to work .. what folder should I save it at ? … I saved in my battlefield 1 folder .. but it didnt work .. ?? That was the folder during beta, yes. Also, it was always the same way with every other Battlefield title, it was always the main folder of the game in the Origin folder. Can’t check right now if it’s still working but it should. Looks like your’re not alone with the problem. I spotted several forum entries via Google where some people say it’s working for them, and other’s say it doesn’t. Maybe this is still buggy. I assume they will fix this soon. yeah only working for me on the menu screens, but as soon as i get into a game it stops displaying. Thanks for confirming, I hope they get this fixed soon. The config file was always handy. Ok i have a query over my fps figures. Setting set for ultra med low im getting 60fps no higher no lower. Turnes dx12 off and on. No change. Can you check if you have vsync enabled? If so, turn it off. Awesome, that works for me! gametime.maxvariablesfps 61 did the magic. Resolution 2150x1440px and high graphic settings, without lags and 60fps. Just want to say big THANK YOU! You helped me so much. Works for me until the actual game-play begins. It just goes away. Is there any way to enlarge the text size via command line? Hello Dennis. How can I contact you? Just want to say a fu**ing big tank you for that tweaks. Your settings did the magic for me. Turn game on ultra quality graphics and always stay at 60fps.